Protein biology is one of the oldest pillars in the study of cells. Prior to identification of DNA and genes, proteins were recognized as the workhorses of the cells: critical for its functioning. This was also possible by the ease of isolating proteins in abundance from cells, tissues and other sources. 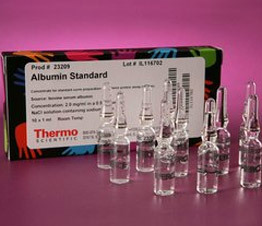 Thus, protein isolation, chromatography, structure and function elucidation have been well established techniques. 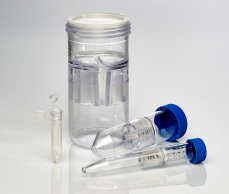 Protein expression (in a test tube) however is a more recent addition. 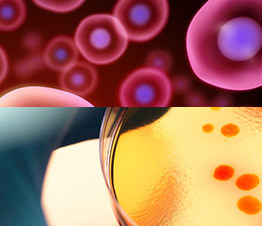 This topic is covered under Cell culture and Transfection workflows. 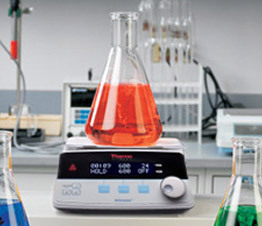 Protein extraction is the oft used method for isolation of proteins. A critical requirement of this step is efficient cell lysis and separation of organelles if specific proteins are to be extracted from these. The methods used for extraction depend on the type of tissue, samples and organelle needed to the separated. For more information visit: Synopsis. 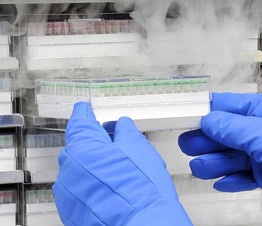 Factors to consider in this step are type of cell disruption needed: Plant cells have cellular walls which are difficult to break, bacterial cell walls can be sonicated, tissues such as bones and others tough tissues benefit from freeze-fracturing. 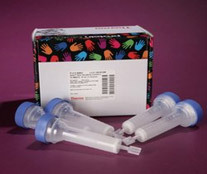 Multiple options for homogenization and cell disruption are available from OMNI International. 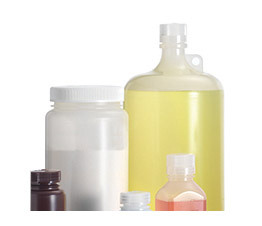 Secondly, use of detergents, protease inhibitors, protein stabilization agents are common to ensure protein function. 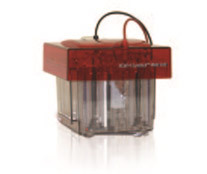 This is necessary for applications such as ELISA and crystallography which require both function and structure of the proteins to be maintained. Furthermore, clinical samples such as blood, urine etc., contain inhibitors and proteases- hence choice of buffers and steps in the workflow should be made keeping the above parameters in mind. 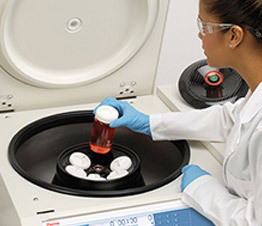 An often used technique to purify protein in large abundance is to clone it in vectors and express it in suitable cells and cell lines. 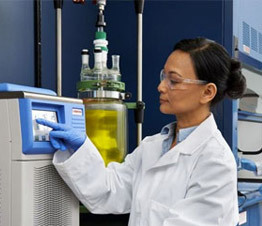 Protein purification using various methods results in diluted larger volumes of proteins that need to be concentrated and desalted to exchange buffers if more than one purification strategy needs to be implemented. 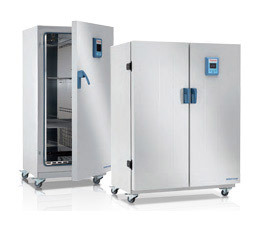 Exchange of buffers is carried out by Dialysis or using Desalting columns & plates. 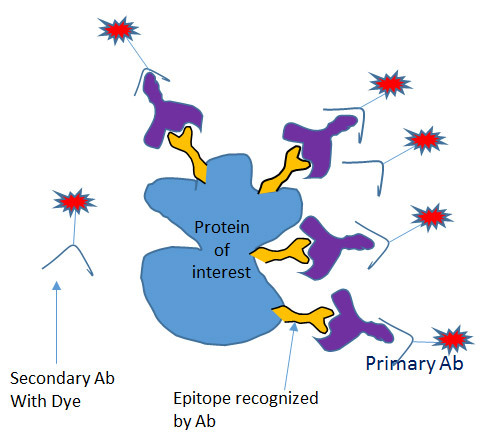 Binding of dyes to the protein and detection of protein bound dyes. 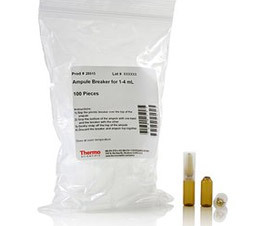 Examples: Pierce 660 nm assay and Coomassie (Bradford assay). Western analysis is a common protein identification tool. 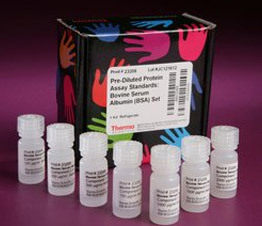 Antibodies against the protein of interest are used to detect expression of a specific protein. 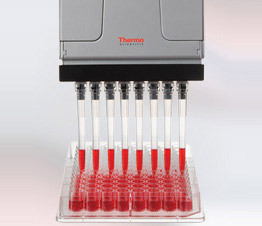 Typically western analysis can be used to assess purity and recovery of a protein after purification steps. Alternatively, identity of a protein in a protein-protein complex can be established using this method. 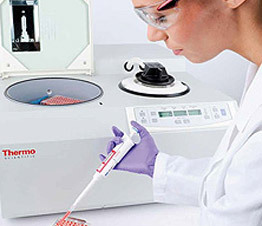 Several forms of polyacrylamide gel electrophoresis (PAGE) exist, and each form can provide different types of information about proteins of interest. 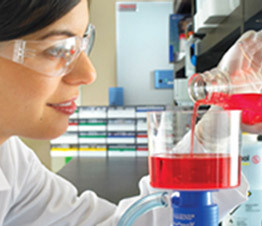 Denaturing and reducing sodium dodecyl sulfate (SDS)-PAGE with a discontinuous buffer system is the most widely used electrophoresis technique and separates proteins primarily by mass. By using an ionic detergent such as SDS the proteins are denatured and coated with a negative charge. Under the influence of an electric current, all the proteins migrate to the positive charged electrode based on their mass. 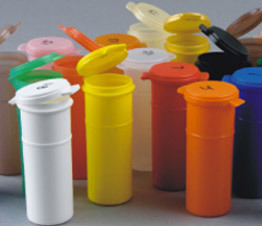 Thus the lower mass proteins migrate faster as they are sieved through the polyacrylamide matrix and the higher mass proteins trapped in the matrix move slowly. 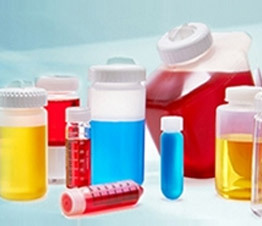 Stained or unstained size markers are run on this gel to correlate size of purified products. 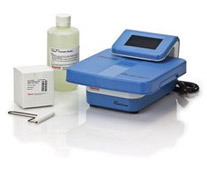 Wet transfer can be done manually or using an electrophoretic apparatus. 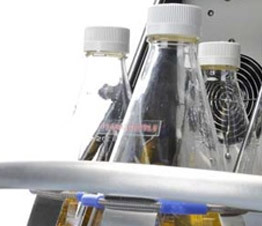 Semi-dry transfer involves a special apparatus, transferring proteins in a matter of minutes. 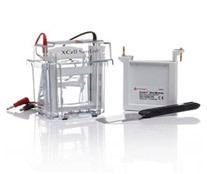 The Xcell mini and midi blot modules facilitate easy wet transfer of 1 to 4 gels. 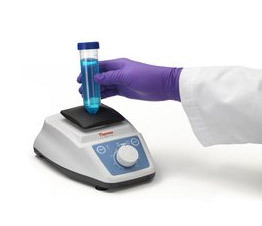 The Pierce Power Blotter can be used for a faster semi-dry transfer. to the primary antibody which recognizes the epitope on the protein. After washing off excess primary antibody, a secondary antibody is bound, washed off. This secondary Ab contains a dye (Fluorescent, radioactive, chemiluminescent or enzyme). 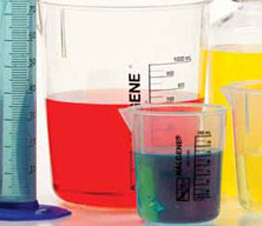 After washing off excess, the dye can be visualized using appropriate detection reagents & instruments. 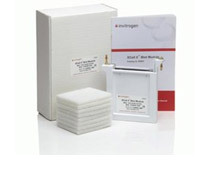 If the membrane needs to be re-probed to detect other protein, it can be stripped with appropriate stripping buffers and re-probed with new primary and secondary antibodies. 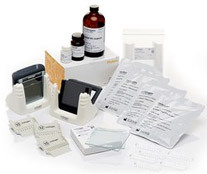 Enzyme linked Immunosorbent assay (ELISA) is an often used technique to quantitate proteins and peptides in solution. 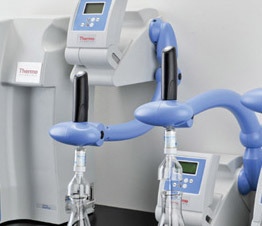 This has been used extensively in clinical applications and in basic research. 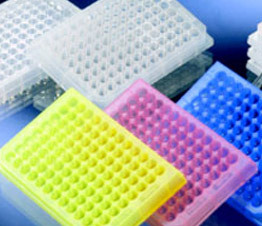 2,000 ELISA kits and reagents covering multiple species and targets are available. Protein modifications are typically employed for structure elucidation and studying protein or protein-ligand studies. 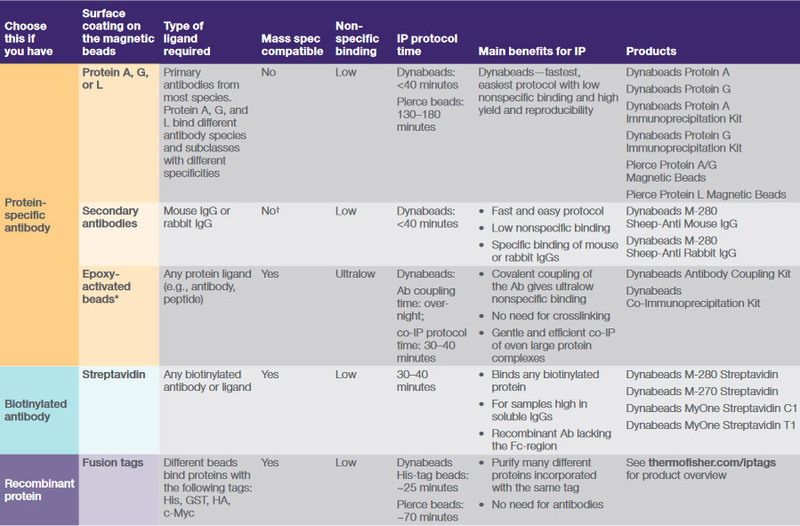 Tagged and recombinant proteins and peptides are available for 9 species across various research applications. 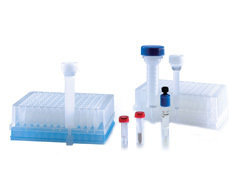 This set comprises proteins with various cellular functions.